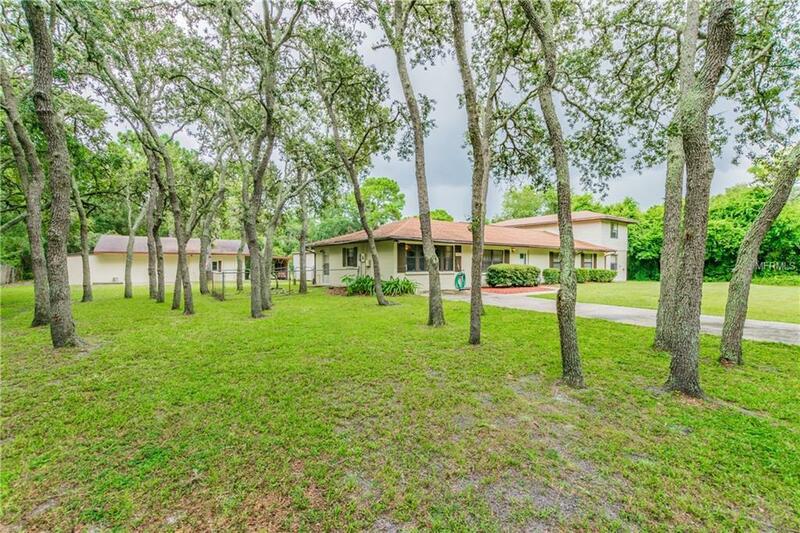 WELCOME TO YOUR COUNTRY RETREAT at 9035 Wister Ln, Hudson, FL. 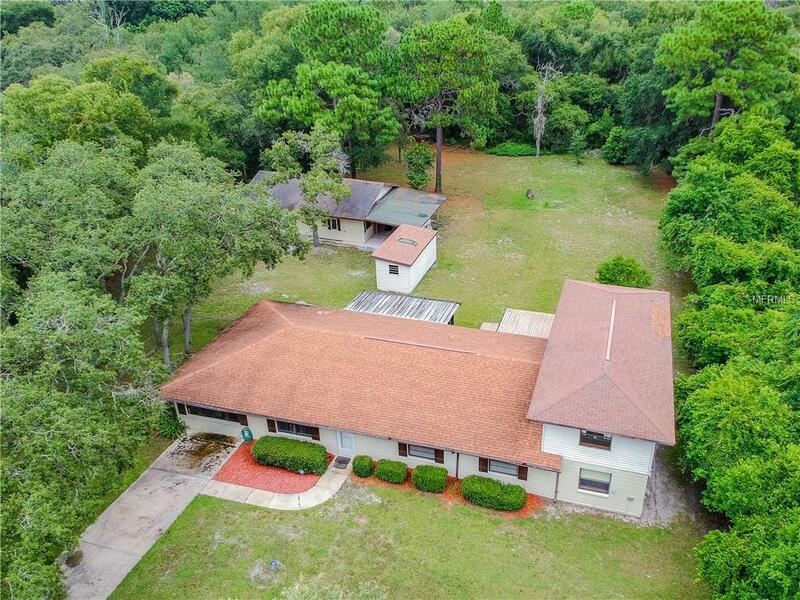 This FABULOUS home sits on over an acre of mostly cleared land surrounded by natural beauty teeming with wildlife. 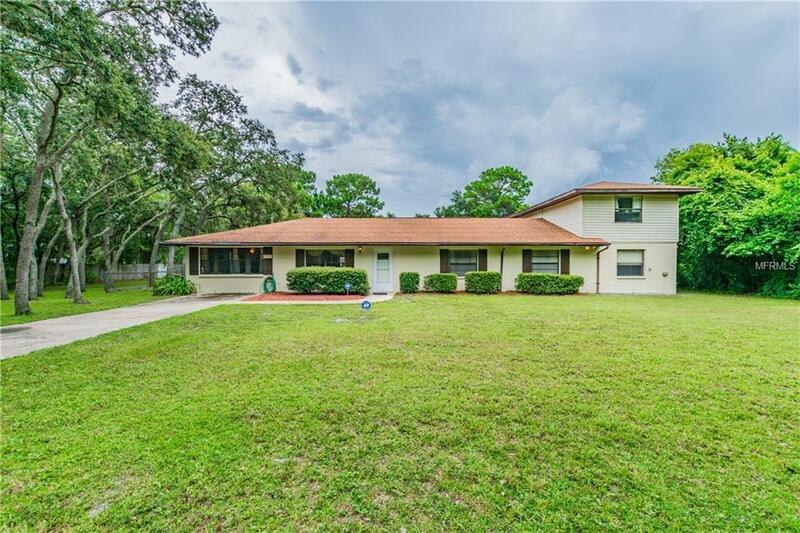 Key exterior features include paved driveway, expansive wood deck in the backyard, screened lanai, rain gutters, fenced dog run, shed with power & MASSIVE garage containing carport, storage & workshop. There is PLENTY of outdoor space to design your DREAM OASIS such as adding a pool or stable for the horses. As you step inside, you'll LOVE how open & BRIGHT the home feels. There is no lack of storage with walk-in pantry, under the stairs storage, laundry room, numerous cabinets & wall of closets in the upstairs bonus room (5th bed). 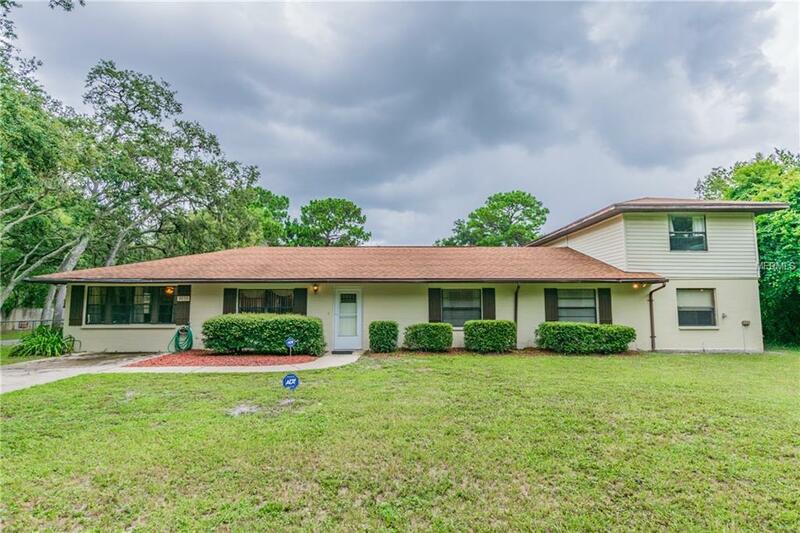 The kitchen has stainless sink, updated appliances including a French door fridge & double oven while nice chair molding accents the dining room. To the left of the kitchen, you'll find a bedroom with built-in desk as well as the utility room with sink, washer, dryer & water softener included. To the right are 3 bedrooms including the master with private bath & step-in shower. The nearby guest bath features tub/shower combo. At the end of the hall is the addition consisting of a HUGE family room with bar, sliding doors to the deck & upstairs bonus room. This addition can easily be converted to an IN-LAW SUITE as the bonus room has a full bath (shower). With a little elbow grease to bring this home up to date, you will enjoy a LIFETIME OF MEMORIES with family & friends at Wister Ln. Schedule your appt! Additional Lease Restrictions Please Refer To Pasco County Rules & Regulations Regarding Leasing. Pet Restrictions Horses Goats Chickens & More Allowed. Please Refer To Pasco County Zoning To Verify Type & Number Of Animals.